If ever there was a perfectly packaged case study on data breaches, it’s Marriott’s recently disclosed megabreach. Last week, the hotel chain announced that its Starwood guest reservation system was hacked in 2014—two years before Marriott purchased Starwood properties, which include the St. Regis, Westin, Sheraton and W Hotels—potentially exposing the personal information of 500 million guests. The consequences were almost immediate; on the day it announced the breach, Marriott’s stocks were down 5% in early trading and two lawsuits seeking class-action status (one for $12.5 billion in damages) were filed. And the U.S. Senate started to discuss stiffer fines and regulations for security breaches. So far, this is all par for the course. But what makes Marriott’s breach particularly noteworthy is the obvious lack of cybersecurity due diligence conducted during the M&A process. The cost of cyberattacks is simply too great to not succeed in mitigating every threat, every time. A successful cyberattack and resulting data breach obliterates trust and destroys brands. When one company acquires another, it doesn’t just acquire assets. It also assumes the target company’s risks. Put simply, their gaps become your gaps. In addition, lack of cybersecurity due diligence can actually undermine the value drivers of the deal. In Marriotts’ case, a big driver was retention of the Starwood high value travelers: the people who make up the loyalty program. Due the pain these customers will now endure—changing credit card numbers, passports, etc.—this value driver has been irrevocably damaged. 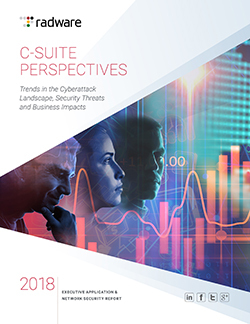 It is critical that organizations incorporate cybersecurity into every fabric of the business, from the C-level to IT. Securing digital assets can no longer by delegated solely to the IT department; it must be infused into product and service offerings, security, and perhaps most importantly, development plans and business initiatives. In the case of Marriott, its $13 billion acquisition of Starwood represented a strategic initiative that involved the board of directors, C-level executives and management—all of whom are now partially responsible for the erosion of Marriott’s brand affinity. And as we’ve written before, when it comes to loyalty programs, security must transition from the domain of reactive disaster recovery and business continuity into the realm of proactive protection. If loyalty programs are designed to focus on your most valuable customers, why wouldn’t its security fall in line with the other mission-critical assets and infrastructure responsible for servicing these very clients? Marriott’s Starwood breach is an unfortunate case study for why CEO and executive teams must lead the way in setting the tone when it comes to securing the customer experience. When cybersecurity is overlooked or treated as an afterthought, the potential damage goes far beyond dollars and cents. Your very reputation is at stake. The revised Payment Cards Industry Data Security Standard (PCI-DSS) that was released last Thursday did not provide any ground breaking news regarding the requirement for the protection of publicly facing web-applications against vulnerabilities and web-application attacks. As many CISOs out there know too well, web-accessed applications must provide logging to enable anti fraud and business context visibility on application activity. In many cases, those applications must also comply with government regulations. The implication is that an application must log and analyze transactions, preferably in real time.